Most commonly used in development sites where local councils have specified a “low-impact” or “permeable” surface to be installed due to the Tree Protection Zone (TPZ). From individual car spaces to large parking areas, WaterPave will apply DriveCon™ permeable concrete to any area to create a hard-wearing, seamless permeable surface that has been engineered to carry everyday vehicle loads. The DriveCon™ system is the most efficient permeable system on the market thus making it the most affordable for large areas. 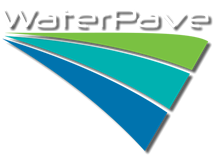 DriveTec™ is WaterPave's premium engineered porous system developed for driveway and car park applications. The DriveTec™ system is a two-layered application with WaterPave's UV stable resin-bonded Granite or Marble aggregate (available in a variety of colours) as the top layer.